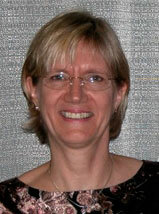 Henriette Kellum, LCSW is a Licensed Clinical Social Worker with a private practice in Northern Virginia. The focus of her practice is to help adults, persons in mid-life and older adults with a variety of issues including challenging life events, transition and change, loss, grief, illness, anxiety, depression, caregiving, hoarding behavior and resource awareness. She strives to make a positive difference in the lives of her clients by listening empathically, providing support and providing guidance through personal exploration. She has over 30 years’ experience in mental health and human service work, both as direct service provider, and as senior manager of adult mental health and adult protective services programs. She has been a leader in the Northern Virginia aging and mental health community where she has successfully advocated for the development and funding of innovative new programs for the entire region. Henriette provides assessment, including mental health assessment for guardianship/conservatorship proceedings and she provides counseling/psychotherapy. Additionally she provides expert consultation on midlife and aging issues as well as on hoarding behavior. Henriette provides comprehensive mental health assessments for guardianship/ conservatorship hearings, assessments to develop appropriate mental health treatment plans and assessments to assist caregivers and service providers in determining appropriate psychosocial interventions. Henriette is an empathic listener and provides guidance and support in order to empower her clients to resolve their difficulties and to continue to live their lives with confidence and a feeling of well being. Her client population focuses on adults in midlife, older adults, persons with disabilities and caregivers. Henriette provides consultation on Midlife, Aging, Mental health and Hoarding issues to: Caregivers, Public and Private Agencies, Nursing Homes, Assisted Living Facilities, Adult Day Programs, students and others.